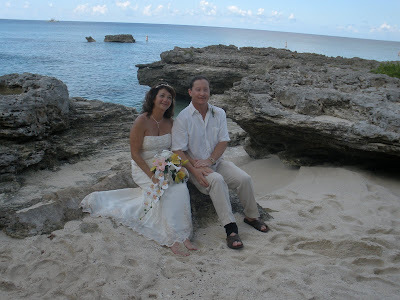 Every year thousands of couples chose to be married while on a cruise. 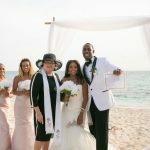 This is becoming increasingly popular in the current economic climate, because of the very obvious cost-savings of combining a wedding and a honeymoon. 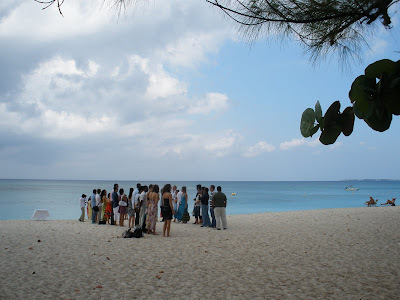 Grand Cayman, with its world-famous Seven Mile Beach is one of the hottest spots for a cruise wedding on the beach. 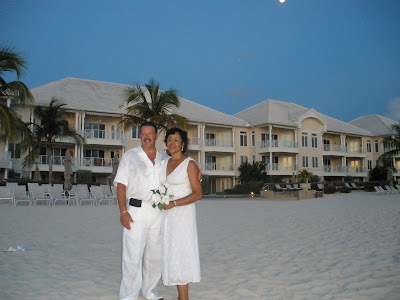 The Cayman Islands is one of the few cruise calls in the Western Caribbean where couples can be married while their ship is in port. 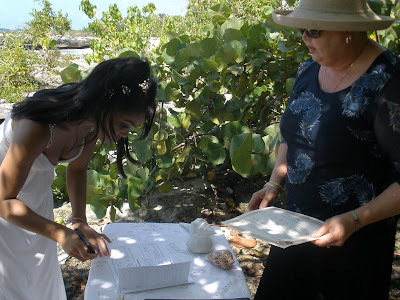 In addition, the world class wedding planners can make your dream of a tropical beach wedding a reality for a very affordable price. 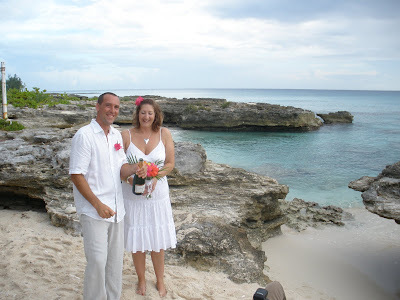 Simply Weddings - Grand Cayman Wedding Celebrants and Planners specialise in cruise weddings in the Cayman Islands. 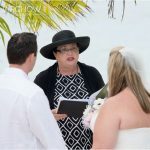 From our office overlooking the water less than a mile from the cruise landing, we are ideally placed to make your Cayman Islands wedding an unforgettable experience. If you have a large group, we arrange for them to be transported to the wedding location. We can also arrange for limousine or town car service from one of our vendors. Van service is included, all other transportation incurs an extra charge. There is no need to get dressed on the ship, you can do your hair and make-up in our comfortable Bridal Room for no extra charge. 4. Every bride should feel special on her wedding day, and a bouquet of fresh tropical flowers adds to that special feeling like nothing else can. 5. Chilled champagne on the beach served with crisp white linens and crystal flutes lend a touch of elegance to your special day. 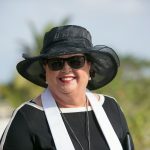 We walk you through the Caymanian wedding traditions of popping the cork, toasting each other, and then in the very British tradition we present you with the cork and a Caymanian coin, to mark your first drink together as husband and wife. 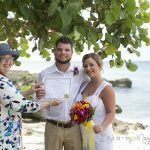 We are an independent, wedding services company (not affiliated with any cruise line, hotel or off-island company) We have been arranging weddings for over 15 years, and are a trusted provider for locals and visitors. 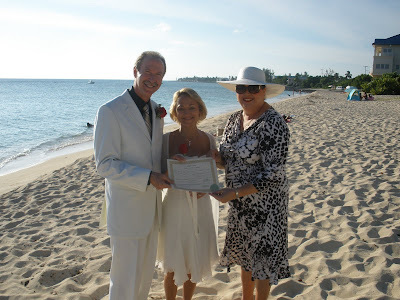 All wedding ceremonies are personalised to suit your requirements. 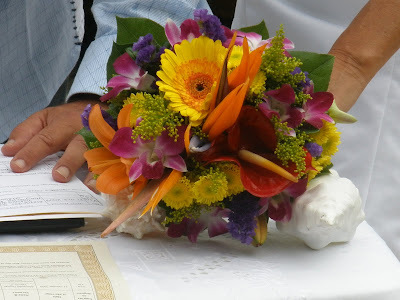 Both civil and religious ceremonies are available. We require a refundable deposit to book your wedding date and time. You can pay by Mastercard, Visa, Discover card or Diners Club. We cannot accept American Express. Call Joy or Peggy +1 (345) 9499933 or email mywedding@candw.ky to book your Cayman Islands All-Inclus ive Cruise Wedding Package today.